Gorongosa - slowly but surely being returned to its former glory. 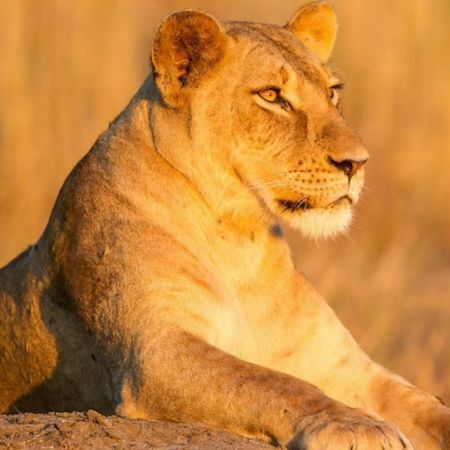 The restoration of the Gorongosa National Park has been hailed as the most ambitious conservation project in Africa, and the story was recently brought to the attention of the millions of viewers who avidly watched the wonderful 'Africa' documentary series, hosted by David Attenborough. Gorongosa is not your typical 'Big 5' safari destination, so it is not ideal for first timers looking to tick off Africa's wildlife in a short stay. Rather, Gorongosa is more a 'wilderness' experience, ideally suited for the dedicated safari-goer, who has 'been there, done it' time and time before, and who now wants to see and experience a truly special part of Africa. The Park certainly has a turbulent history. Declared a National Park back in 1960, the Park used to cover 5,300 square kilometres of bushland in Mozambique, and was a popular safari destination for Hollywood superstars such as Gregory Peck, John Wayne and Joan Crawford, who stayed in the Park's legendary Chitengo Camp. In 1966, the Government reduced the Park's area to 3,770 square kilometres, in order to provide more land for local farmers, but arial wildlife surveyd over the next few years still showed an extremely healthy population of lion, elephants, buffalos, wildebeest, zebra and other antelope such as waterbuck, impala and eland. The numbers of lions and elephants in particular were impressive - 6,000 elephants and 500 lions. Then, between 1977 and 1992, a civil conflict broke out, and fighting took place within the Park itself, which had a severe detrimental effect on the wildlife population, as the wildlife was literally slaughtered for food, and the elephants hunted for their ivory tusks which were sold to raise money for more guns and ammo. After the war, between 1993 and 1996, professional hunters then entered the area, resulting in the Park's large animal population being reduced by 90% or more. At the end of the last decade, an extensive programme was started, in an effort to rebuilt Gorongosa's infrastructure and restore the now depleted animal population. When the programme begun, a new wildlife survey counted just 100 elephants, 300 reedbuck, 100 waterbuck, and only a handful of zebra and other antelope. The predators had vanished completely. In 2004, the Gorongosa Restoration Project, a US based non-profit organisation funded by American entrepreneur Greg Carr, teamed up with the Mozambique Government to fully restore the Park to its former glory. A sanctuary was built within the Park, and wildlife was slowly relocated here from neighbouring South Africa, and kept in safety whilst their numbers increased until the herds were large enough to be released into the main Park areas. The project also built a primary school and health clinic within the local Vinho community, immediately benefitting the people here who live along the borders of the Park. A new 20 year agreement was signed in 2008 to continue to manage the Park, and in April 2009, Explore Gorongosa, a luxury safari camp in the first private concession in the Park, opened its doors to visitors for the first time. Slowly but surely, visitors started to return to the Park. Today, the wildlife population is steadily increasing, and with the inclusion of Mount Gorongosa within the Park's boundaries, the size of the Park is now over 4,000 square kilometres. Between 50-70 lions live in the Park today, but the plan is to take the lion population back to what it used to be. Sable antelope are plentiful, and often seen on game drives, along with waterbuck and other antelope species. Gorongosa is also proud to be home to over 400 hippos, a growing population of over 500 elephants, and lots of crocodiles. If birding is your thing, then the array of birds here is simply astounding. The best time of the year to see birds is November, when migratory birds arrive and resident birds have bright plumage for the breeding season. Over 150 different species may be recorded in a single day at this time of year. If you’re truly serious about your feathered friends, Gorongosa is home a special bird that is found nowhere else in the world - the Green-headed Oriole. Chitengo Safari Camp offers 18 thatched en-suite Cabana or Garden Rooms, with a choice of twin or kingsized beds. All the bedrooms are equipped with mosquito nets and air-conditioning. Children of any age are welcome. Featuring a handful of spacious and quirky tented suites, Explorers Camp is certainly not your average bush camp. Each suite has an alfresco 'en-tent' bathroom comprising an eco-innovative waterless toilet and a fantastic wash-in-the-wild shower designed to give you privacy and a feeling of freedom all at the same time. Children aged 10 years and older are welcome.